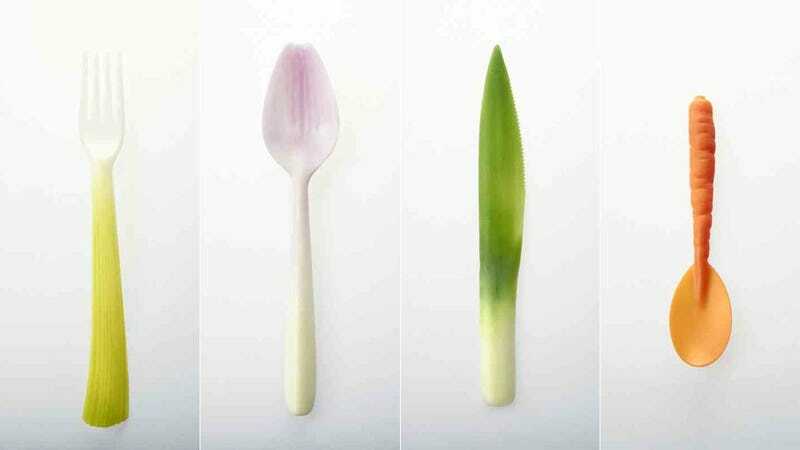 This cutlery might look good enough to eat—and it almost kinda is, because it's made from a biodegradable plastic that breaks down over time. Yes, yes, that doesn't mean it's edible, but it does mean that you could theoretically throw this knives and forks into your compost if you wanted. They're in fact made from PLA, a material usually derived from vegetable fats, oils, or starches.